Rising temperatures are undermining the source of one-third of Southern California’s drinking water: the Colorado River. A new study by the U.S. Geological Survey finds the river’s flow has shrunk by about 7 percent over the past 30 years. As air temperature rises due to increasing emissions of greenhouse gases, more water is sucked into the atmosphere from the snowpack and the river itself instead of flowing downstream. The amount that has evaporated is equal to approximately 24 percent of the total amount of California's annual Colorado River allocation. "These are pretty significant amounts that are being lost as temperatures have gone up," said lead author Gregory McCabe, a climate scientist with USGS in Denver. That is sobering news for Southern California, where Colorado River supplies were a lifeline during the recent five-year drought. During the driest year, 2014, the region’s other main source of water, the Sierra Nevada snowpack, was nearly nonexistent. The series of aqueducts and canals that carry water from Northern to Southern California delivered just 5 percent of its normal amount that year. The region relied heavily on Colorado River water to make up the gap. "What I’m saying to folks in Southern California is, 'Watch out,' " said Brad Udall, a water and climate researcher with the Colorado Water Institute at Colorado State University. "Were Colorado River reliability to go down, it would mean that droughts like the one you just went through might not be so easy for urban areas in Southern California." For the Metropolitan Water District, which imports water to urban Southern California, the study was the latest in a series of troubling findings about Colorado River flows. 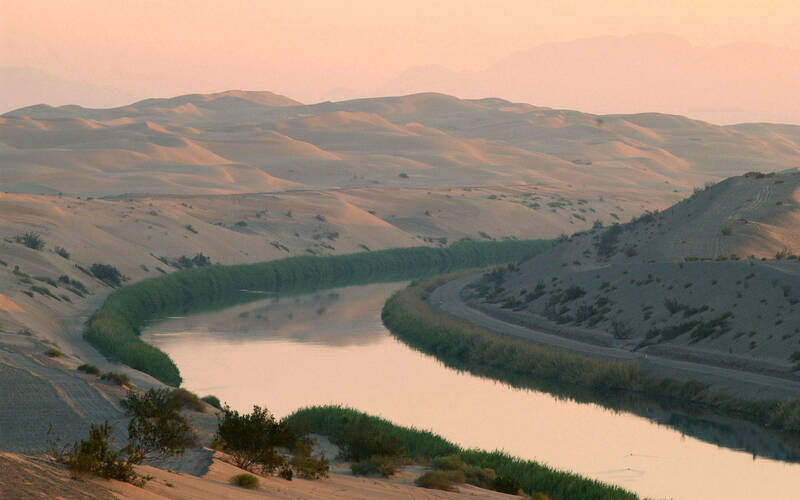 “There are so many different things that affect stream flow, and they all seem to be negative," said Bill Hasencamp, director of Colorado River Resources for MWD. Other studies have found increasing amounts of dust and other particulate matter are falling onto Rocky Mountain snowpacks, causing them to absorb more sunlight and melt faster. That means less water is available throughout the summer. And thirsty non-native species like tamarisk grow out of control along the river and its tributaries, sucking up water. Hasencamp said the MWD is assuming the Colorado will provide 9 percent less water to Southern California over the next 50 years. It’s part of the reason why his agency is not backing off of conservation messaging, even though the California drought has ended. "We can’t just assume the water is going to be there," he said.